The Pioneer DDJ-XP1 is a DJ controller for rekordbox dj and rekordbox dvs with 32 multi-colour performance pads. 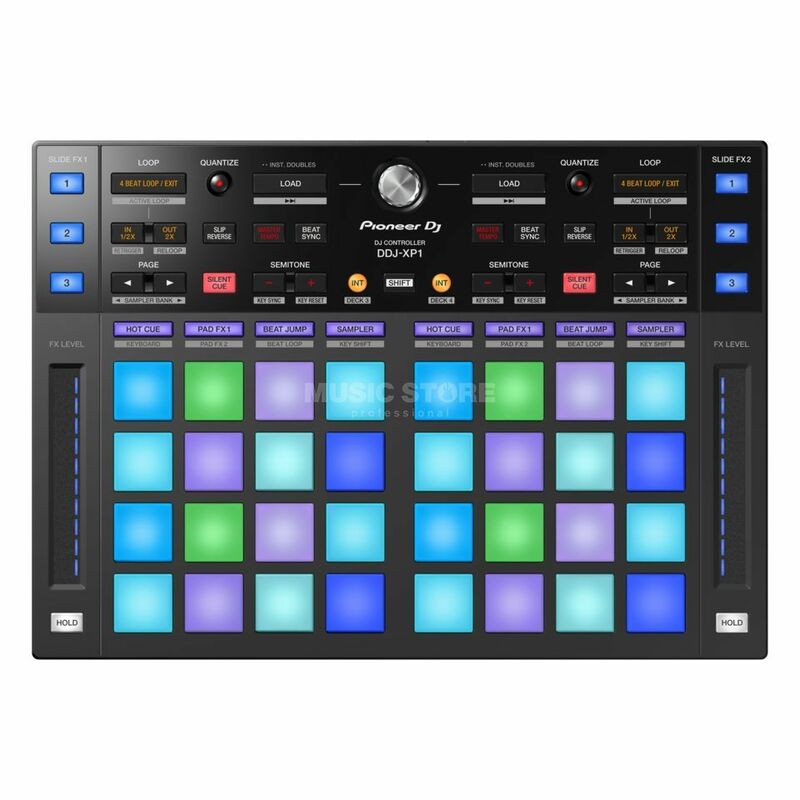 This DJ controller is designed to bring a whole new range of creative options for your DJ performances, whether you use turntables, multi-players or external devices. This robust add-on controller features an intuitive layout and 32 performance pads designed to get the most out of rekordbox dj and rekordbox dvs. Add the DDJ-XP1 to your setup and enjoy tactile control over Hot Cues, Pad FX, Beat Jump, Sampler, Beat Loop or the new Key Shift and Keyboard modes.